The chirping birds, the vibrant green grass, and the roar of the patrons. It is hard to think of a more classy sporting event than the Masters. 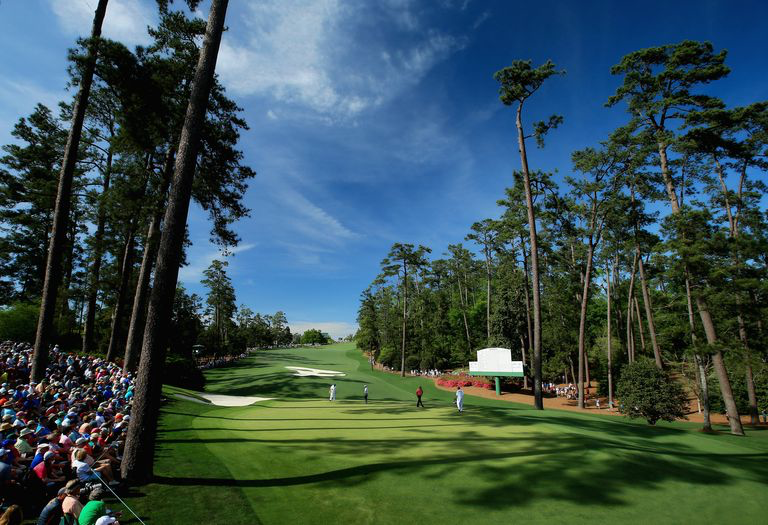 The Masters always takes place on the first full week of April just down the road at Augusta National Golf Club. It is the first of four major Golf tournaments every year and is the most coveted one by professional golfers. The Masters has always delivered iconic American sports moments, like Jordan Spieth’s heartbreaking and equally befuddling collapse in 2016, or Tiger Woods’ putt in 2005 that hung on the lip of the hole for what seemed like an eternity before dropping in, but the Masters is also a landmark of the change of seasons. There is a reason the achingly beautiful piano theme makes us warm and fuzzy inside. After cold, dark winters, the Masters is a sign of things to come, a symbol of hope. Early April in New York City is not particularly warm or sunny, so when the Masters came on at my house, and images of 80 degree Augusta, Georgia, filled the TV screen, I longed to be there. I could almost smell spring-time through the TV and it made me ecstatic for the coming season. The Masters was also a time for family at my house. My brother, my Dad, and I would keep tabs on the tournament on Thursday and Friday, but once the weekend hit, we planted ourselves in front of the TV. Tiger Woods was always the favorite at our house, but as his career hit a massive bump, our allegiances turned to Jordan Spieth. Having stock in one player made the tournament more exciting and we would be fully devoted to him come Sunday afternoon. This approach has led to both heartbreak and joy in the past few years. These intense weekends every April were bonding experiences for my brother, my Dad, and me. As the years went on, my brother’s and my knowledge of golf grew, and we became legitimate fans of the sport. My dad had brought my brother into something special by watching the Masters with us when we were young, and one day I will do the same with my children. The Masters is not just a sporting event, it is a symbol of spring and quality family time. So when the Masters arrive next week, I’ll be watching because I am a golf fan, but also because of what the Masters means to me.